CG Says: The Subaru Legacy is refreshed for 2018 with updated front and rear fascias and revised interiors. Legacy now has more sound insulation for a quieter interior. 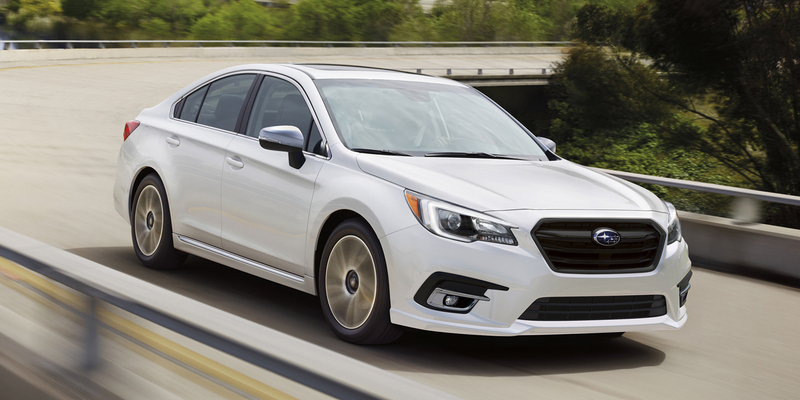 Subaru’s midsize sedan has two engines choices: a 175-horsepower 2.5-liter four cylinder and a 256-hp 3.6-liter six-cylinder. Both are paired with a CVT automatic transmission. All-wheel drive is standard. 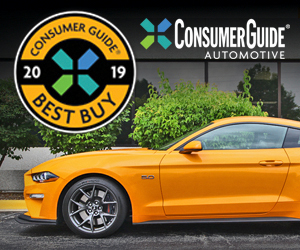 Available safety features include pre-collision warning and autonomous braking, lane-departure warning, blind-spot alert, rear cross-traffic alert, and automatic reverse braking. These midsize cars are pleasant to drive, have great interior room, and come with a lot of equipment at reasonable prices. Standard all-wheel drive is a bonus for snow-belt states. While any Legacy is a solid choice, we like the 3.6R models, which have good power and lots of features for the money.